… but that’s not the only Mime in the world and not all french Mimes are annoying. There are some amazing Mimes out there. There are funny Mimes, musical Mimes, and inspirational Mimes. But how are Mimes, Steampunk? I have two answers for this! First of all, Mimes originated well before the 1800’s (where Steampunk is rooted), but there were famous Mimes well into (and past) the Victorian Era. The Mime dates back to the ancient Greeks and Romans where they performed mimes called “hypotheses” in front of thousands of people at the Athen’s Theater of Dionysus. 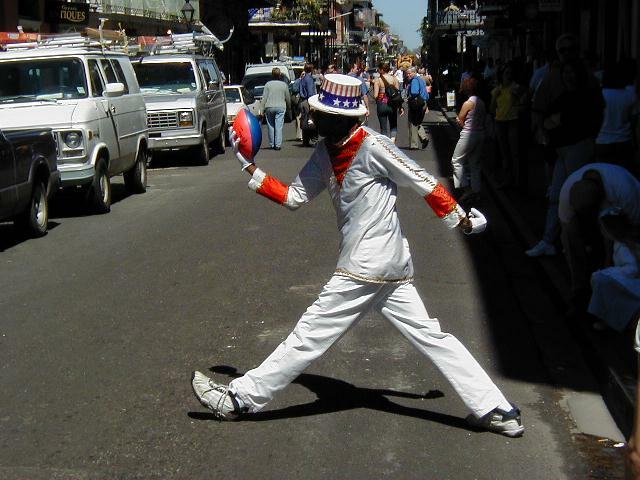 The famous Jean Gaspard Batiste Deburau, son of a touring Bohemian acrobatic family, brought miming to Paris in 1811. He performed at the Funambules on the Boulevard du Temple until he died in 1846. 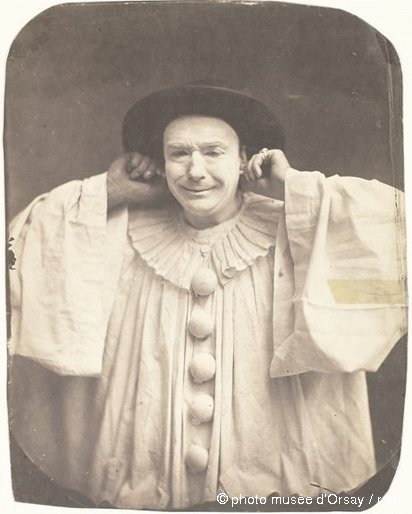 He was well known for his character Pierrot. He was the godfather of all the Pierrots of Romantic, Decadent, and early Modernist theater and art. Mimes continued past the 1800’s into the present. Marcel Marceau (22 March 1923 – 22 September 2007) was an internationally acclaimed French actor and Mime, most famous for his persona as Bip the Clown. 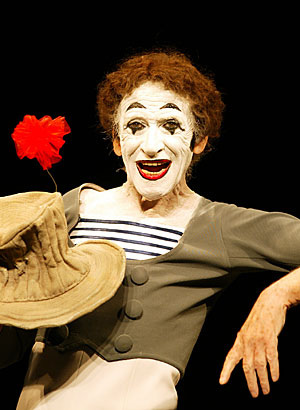 Marceau performed all over the world in order to spread the “art of silence” (L’art du silence). His first US tour ended with a record-breaking return to standing-room-only crowds in San Francisco, Chicago, Washington, D.C., Philadelphia, Los Angeles, and other major cities. He was one of the world’s most renown Mimes. Marceau’s art became familiar to millions through his many television appearances. Let’s look at some modern miming that you may not have even known was miming! 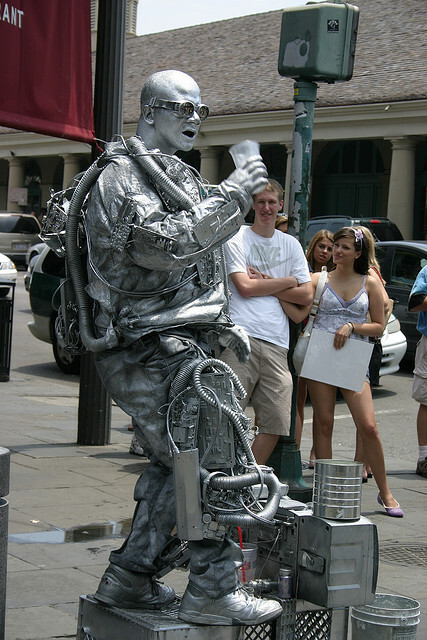 You can find Pantomimes in the big cities like New Orleans and New York City. I’ve even come across Pantomimes in Denver, Colorado and even here in Oklahoma City. 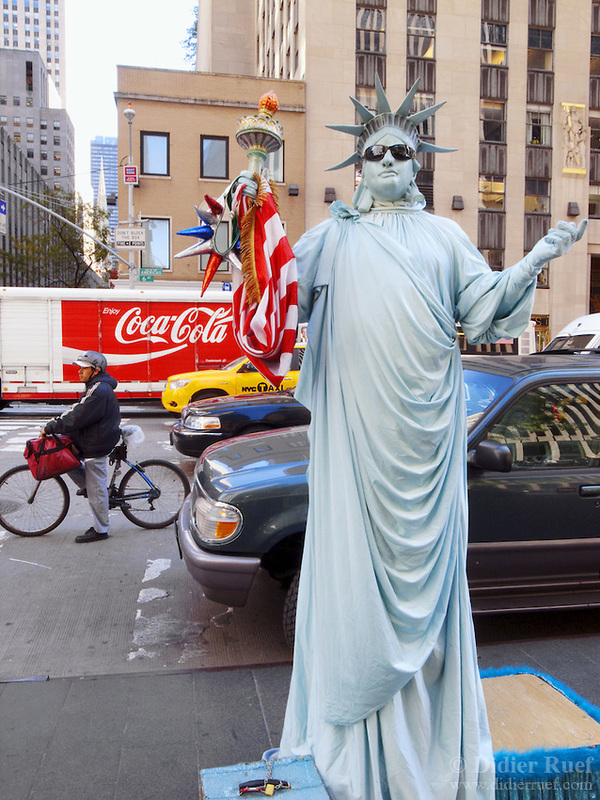 You know those statue or robot guys who sit or stand perfectly still and silent with a tip jar at their feet? Those are Pantomimes! Can you imagine holding a pose for hours, let alone more than 5 minutes – just try it yourself and see how tiring it is! We have a Mime within our local Steampunk community that we support and love. 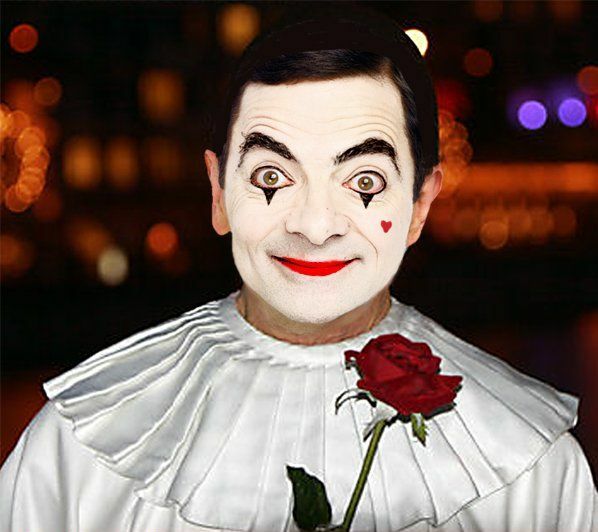 He’s your typical white-painted silent Mime, but he doesn’t rely on annoying mockery to get a laugh. In most cases, he’s a target for humor and a great sport about it (as long as it’s not mean or hateful). He laughs (silently) with us and his humor fits the crowd. I remember the first time we met Sixpence at Clockwork Con in Austin, TX. He wasn’t wearing stripes, and instead he wore a rather dapper white vest. We sat in on a Miming Panel (video linked at the bottom) in which they taught us about what Miming was. They made us laugh and even took requests. It was a lot of fun. Then we met his lovely lady Mime, Citrine, at the Sky Commodore’s Ball. What an adorable couple! As hard as Cameron Hare tries to stay in persona when dressed up as Sixpence, he is a real person who is talented and easily approachable. You can find him on Facebook too! 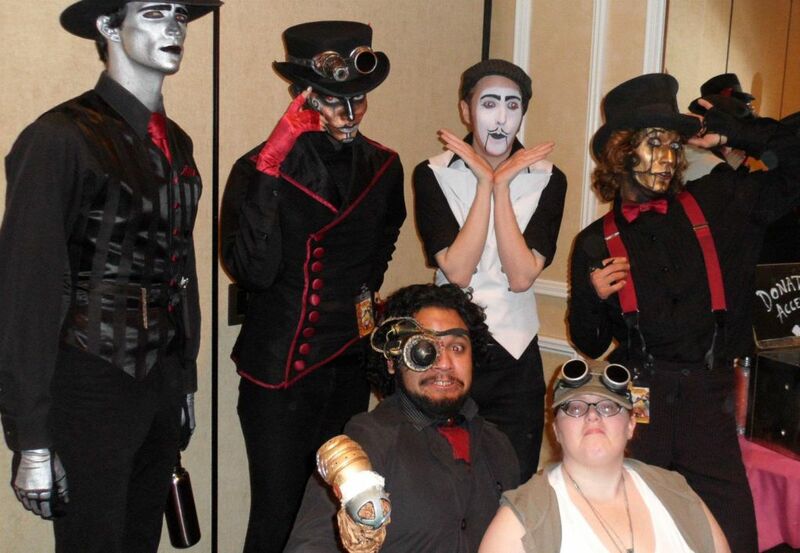 Clockwork Con is also where we met Steam Powered Giraffe – The Spine, Rabbit, and The Jon (former member). They were in that same panel with Sixpence and just as hilarious. Remember earlier on, when I said that not all Mimes are silent, and that there were musical Mimes? That’s Steam Powered Giraffe! They aren’t the typical Mimes you think of when you think of Mimes (how often do you think of Mimes anyway?). They are a very talented group of men who take on the role of robots. Unfortunately, The Jon is no longer in the band but they have a worthy addition to the band named Hatchworth! They perform humorous skits as well as singing. They use sound effects and precise movements to bring their robot personas to life. I can only imagine how much concentration it takes to do all that while also singing and playing instruments. Yep! They play instructions too. We weren’t kidding when we called them talented. They also do their own make-up and graphics for their website. Rabbit often does live streaming, sells his art on DeviantArt, and is super active on Facebook. This band is what they do for a living and they work very hard at it. We’ve seen them at events where they are manning their vending table non-stop while they’re not on stage performing. We’ve had wonderful experiences with them and they are super personable (despite being crazy busy). If you see their names on a flyer for a local convention, check them out! It’s well worth it. So, where is the second part of the answer on how Mimes are Steampunk? Because they make themselves part of the community! 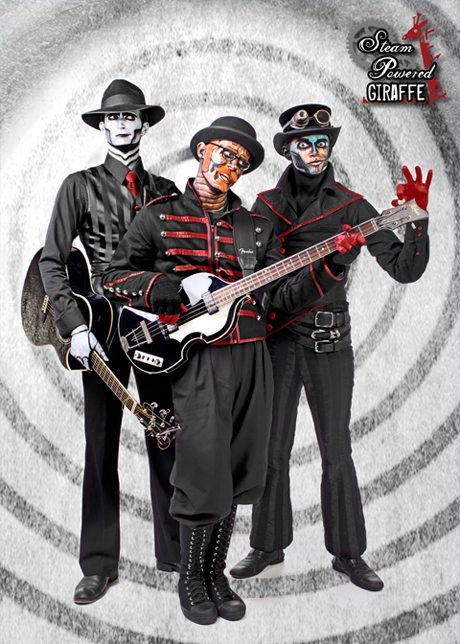 Steam Powered Giraffe’s costumes are steampunk in different ways, from goggles to dieselpunk and even the type of robots they are qualify as Steampunk (or Deiselpunk in The Spine’s case). It’s more so in the background story and the style that captures the Steampunk essence. No one is just Steampunk, you have to make it Steampunk. Steampunk is all about the creativity, the crafting, and the fusion of Retro-Futuristic scifi. 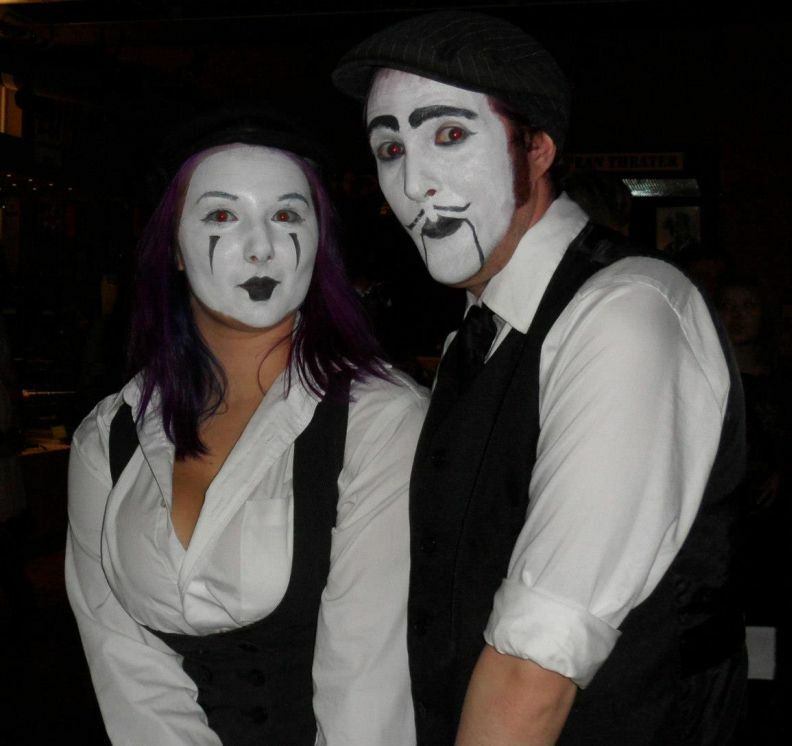 Being part of the community with a creative persona and the right elements, and there you have it… Mimes In Steampunk!